The [Skull Rush] Buster Quest limited event sees a swarm of skeletal baddies taking to the battlefield. In addition to increased stamina and offensive power, they are immune to Zondeel’s suction effect. Depending on how many times you clear Buster Quests, you can earn various rewards. These include limited time ★13 weapons, such as the [Skuzirath Skull] Gunslash and [Vulfekurse Skull] Bullet Bow, which will also be available as Buster Quest drops. The second day of each month is known as PSO2 Day! 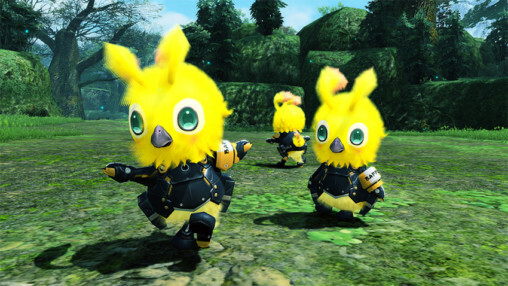 On this day, the ARKS Rappy will appear wearing the Close Quarters armor. Equipment dropped by these cute critters may include a new Special Ability. A new Support Item Selection revival scratch will run from October 1st ~ 10th. Items useful for improving your equipment at the Item Lab and Mag food devices will appear. Three years later, the Colossus Titan terrorizes the ARKS Lobby again with the second Attack on Titan collaboration! Enjoy the horrifying sight of the gargantuan monstrosity for the first time in Stage 6 graphics. Previously released Attack on Titan items will be accompanied by a Colossus Titan Suit and new Survey Corps accessories. A slew of balance adjustments will be arriving earlier than originally planned. You can check out the entire list by clicking the button below. and hopefully a full translation of Chapter 2. Going back into using Fi and may check out Ra. I haven’t used that class in months, it was before they decided to add that PvP mode. can someone explain to me why there 654 dislikes on Balance Adjustments video? the buff looks ok to me i don’t know why people don’t like it? If that 3rd point isn’t explanatory enough, then coupled with what they unveiled of the upcoming raid boss with the dragon, Hero’s still going to be miles ahead of them being able to fight it without some temporary weapon. And because of that, the changes will be effectively meaningless. They will help yes, but not anywhere close enough to match the power (burst and sustain), PP efficiency (costs and recovery method), speed, and utility Hero has. Other classes might have things that can match/exceed hero in one or two of those, but none are close in the total package. They still aren’t just undoing nerfs from when ep5 was instated too. It would make at least a couple more classes or weapons a reasonable or good option, and help make hero not the be-all-end-all it currently is. Who knows how temporary gear will scale too in that upcoming fight, but given the problem of balance already, it doesn’t give much confidence.